With this update searchers can more easily find high-quality and relevant results where text is readable without tapping or zooming. Google also released some tools to help you test if your website is mobile-friendly or not. You can test individual pages from the Mobile Friendly Test or test the entire site from Google’s Webmaster Tools. 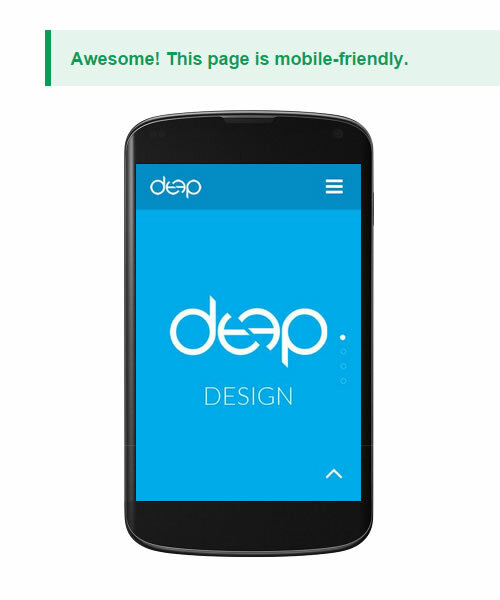 Deep Design’s redesigned website passed the test successfully. What about yours? Test your website and let us know in the comments below. If you need any help to make your website design mobile-friendly, send us an email at hello@deep.com.mt with your query or use the below contact from. Enter your details below, and we’ll get back to you as soon as possible.